BEWARE of the plastic trees (deceivers) that are in the midst of the REAL trees (Gods children)! 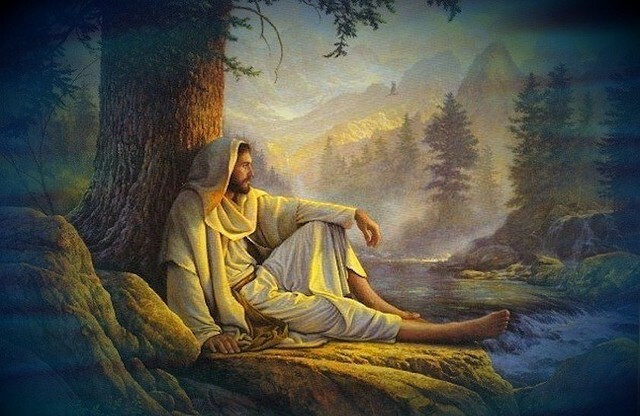 !As I was just talking with JESUS earlier this week, He revealed to me about trees. I love how He shows me images in my mind, they are so easy a child can understand 🙂 I want to share this image with you. 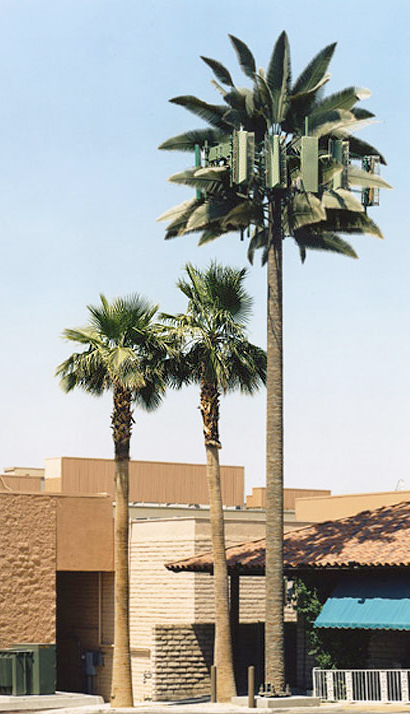 Are you aware of the cell phone towers that are made to look like trees?? They are placed among REAL trees. One could easily be deceived if they don’t look hard enough. This reminds me of what’s going on in this world, and on the internet today. BEWARE of the false TREES!!! There are so many who claim to know Jesus but they are not ROOTED in HIM, they are rooted in THEIR own understanding (they are their own god) and created their own plastic trees (their own commands) and they produce fruit that LOOKS good to the eye but is death!!! JESUS is the tree of LIFE and HE is TRUE wisdom and His branches are His children whom HE has rooted within Himself, and they are known by the fruit of HIS spirit that LIVES within them! All fake trees will be uprooted by the hand of the LORD. JESUS will give you eyes to discern who are speaking His words and who are not. Go To Jesus for understanding. There are many flatterers upon this earth that are speaking a false peace to the multitudes of people who are listening and are falsely comforted. They remain distracted with the temporary comforts of the flesh, religion and gods of their own imaginations. Most are in a spiritual slumber about whats coming upon this earth as MOST are ignoring the voice of JESUS. JESUS will NOT defend a people who have turned their backs upon Him (unless they repent), nor will my God defend a strange land that continues to break His heart with their sins that reach unto the heavens. My family and I spent a couple weeks on the road out west last year; as we traveled to each destination I heard JESUS speak to my spirit about how this land will soon be unrecognizable. I got chills when JESUS told me that. He also shared with me His indignation and sorrow as tourists gathered to get a glimpse of the “wonders of the world” but their hearts were stone cold toward their maker, to the very ONE who loves them MOST, my LORD JESUS CHRIST. When I became born again JESUS told me that we are living in the last days, that we are the last generation and His wrath is coming, His judgments are already here. JESUS told me that the four seasons we currently recognize as spring, summer, autumn and winter will change drastically, at a very rapid rate. JESUS said the seasons would never be the same upon this earth and that MANY are not prepared for the disasters to come. Storms will increase in size and power and strange weather patterns will continue to develop and damage areas unexpected, earthquakes will continue to shake and break the idols of man, floods will come suddenly, pestilences, famines and diseases will claim the lives of MANY, this land will soon become desolate and without any hope of restoration, as will the entire earth. MANY are blind to the spiritual battle that goes on daily for their souls and the lukewarm are convinced that my Master delay His coming! JESUS IS coming soon, but MUCH destruction will continue to come, it will remain upon this entire earth until its destroyed with FIRE. FEW are prepared to meet JESUS face to face. He cares for every soul. His mercy is being poured out RIGHT NOW; He is calling ALL to come to repentance. Are you turning your head and plugging your ears to the signs and the times we are in? Are you prepared to meet the LORD? Ready or not, JESUS IS COMING!!!! Don’t be caught without being clothed in HIS spotless righteous wedding garment, that JESUS is offering all right now, NOW is the time to prepare your hearts before the LORD. REPENT spend time with JESUS daily, draw close to Him and fight for your soul and the souls of your loved ones before it’s too late. HOLD FAST!!! STAND ON THE TRUTH. The devil will TRY to tempt the LORDS sheep to investigate and question all that JESUS has revealed to them in the darkness. FAITH IN JESUS is all that we truly need in order to believe what HE SAYS IS TRUE. JESUS IS OUR COUNSELOR. DOUBT only KILLS the very seeds He planted within us! We don’t need to know all the details of His plan and we don’t need to seek the counsel of man, we just need to KNOW HIS voice and continue to obey HIM even if what He says SEEMS questionable to our understanding, NOTHING is impossible with JESUS. CLING TO JESUS. DON’T DOUBT the truth that He has already shown you through HIS eyes. WE must STEP FORWARD IN FAITH on this narrow path, not backward. CLING TO JESUS. TRUST JESUS. HE will direct you in HIS WAY without error. Jesus reveals the secrets of broken hearts to His children for the purpose of bringing restoration and reconciliation to the wounded and lost souls. Jesus does this supernatural work by pouring out His heart to His children who will then speak His interpretation to the lost soul that they might see their hearts condition and choose to repent. THE LORD ministers through His children to the broken soul with the wisdom and understanding that HE has given them about each individual heart. His will is for all to come to repentance. JESUS knows EXACTLY how to minister to each soul and He will not withhold the understanding for His children to minister and witness to others, if they will seek Him diligently and with the right heart motive. It is NOT enough for a sheep to receive understanding of a person’s heart condition to bring healing; one must seek the LORD with the right heart motive to be able to minister to each soul effectively. Many are seeking the Lord for wisdom for self gain, wealth and to become religious teachers and to have the praise of man. His children are also called to share HIS testimonies, understanding and HIS wisdom that was learned of their own sinful past, current painful trials and tribulations FREE of charge to anyone who is willing to listen. His children will not take credit nor will they boast in their works as it is the LORD who guides His sheep. This life is ALL about JESUS. His sheep LIVE to obey their shepherd, and to care for souls. His sheep NEED HIS counsel daily. Have you found the REAL JESUS (HE is the most precious treasure you can find!!) 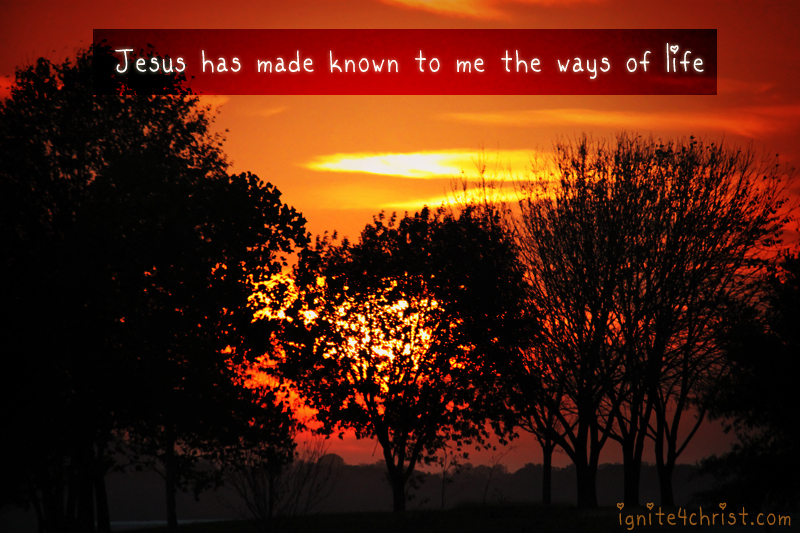 DOES JESUS KNOW YOU? Are you SEEING the LORDs heart and his overflowing mercy for man to repent? ARE you taking these signs around you seriously or shrugging them off and going on with your day?? Landslides, earthquakes, cannibalism (demon possession), plagues of locusts, bloody waters, record breaking solar flares and heat storms, unusual weather changes, wild fires, baseball sized hail, floods, tsunami’s , typhoons’, wars and rumors of wars, dead birds, fish, cows, and dolphins…and so much more!! I ask again, do you KNOW what time it is?? ASK JESUS!!!! GET READY, the LORD has only begun His judgment on this wicked earth and perverse generation; this dying world doesn’t LOVE HIM! Most don’t care to KNOW (love/obey/serve) JESUS. It takes more than just repeating a prayer, love is faithfulness and long-suffering, are you faithful to JESUS? Only those who endure to the end will be saved. Only those whom the LORD KNOWS will get through His gates!! All thieves and robbers will be caught and sentenced to hell. Repent. Get right with JESUS in this late hour, don’t put it off, you need Him! One can LOOK like they are doing good works and serving JESUS on the outside, but if they do not have love (caring for peoples souls, having the fear of the LORD), and if they are not producing fruit of the spirit and born of Gods spirit, then its all for nothing.